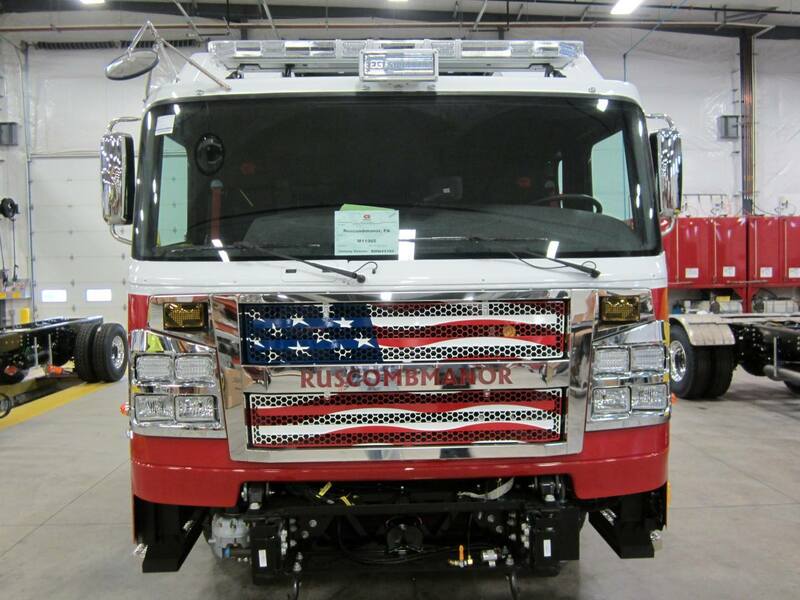 We are proud to announce that Horrocks Fire and Rescue Apparatus will be the Eastern PA dealer for the new Rosenbauer NFPA compliant helmets. 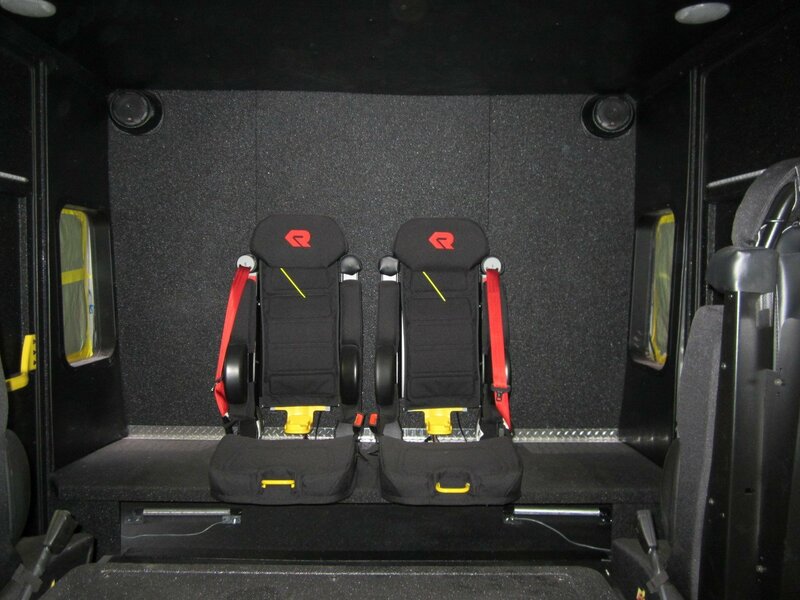 Click here to see more information on the helmet and contact us for pricing! 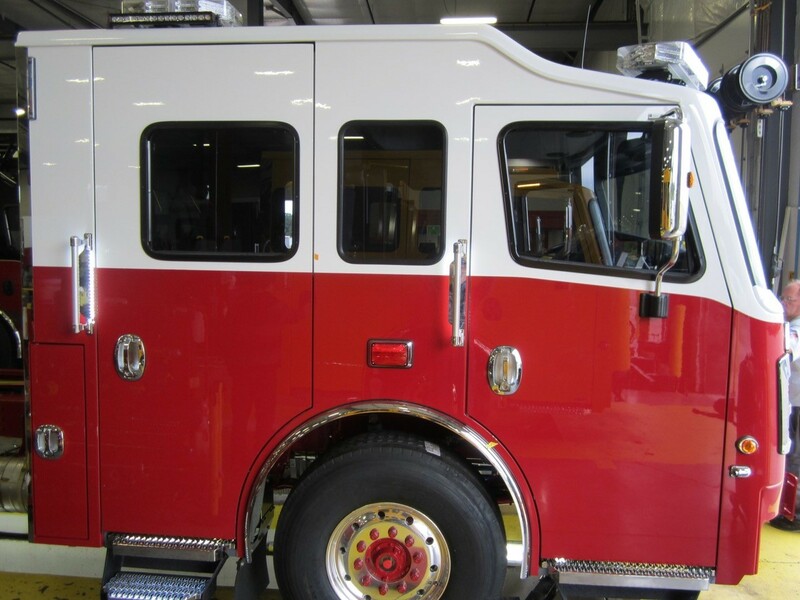 Meets NFPA 1971, 2013 edition. 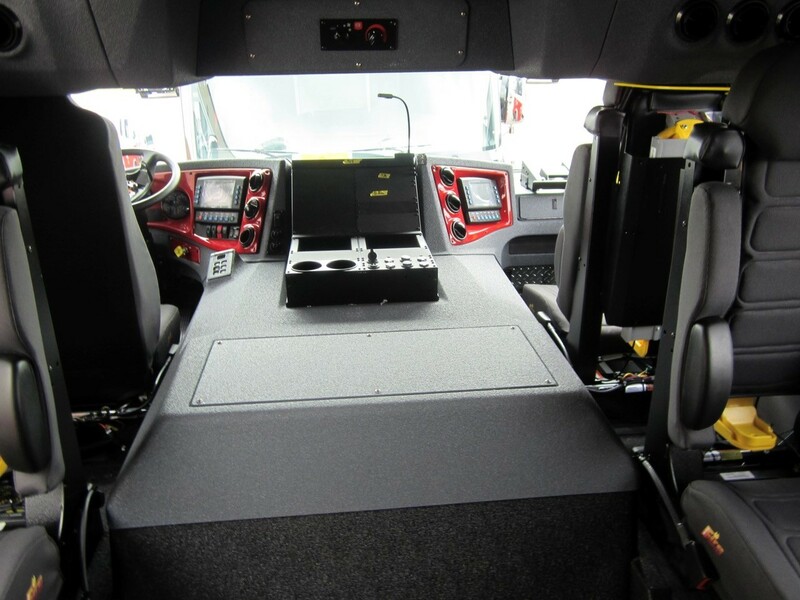 Developed for the world’s most extreme operations, the HEROS-titan Pro fulfills the latest valid NFPA directives. 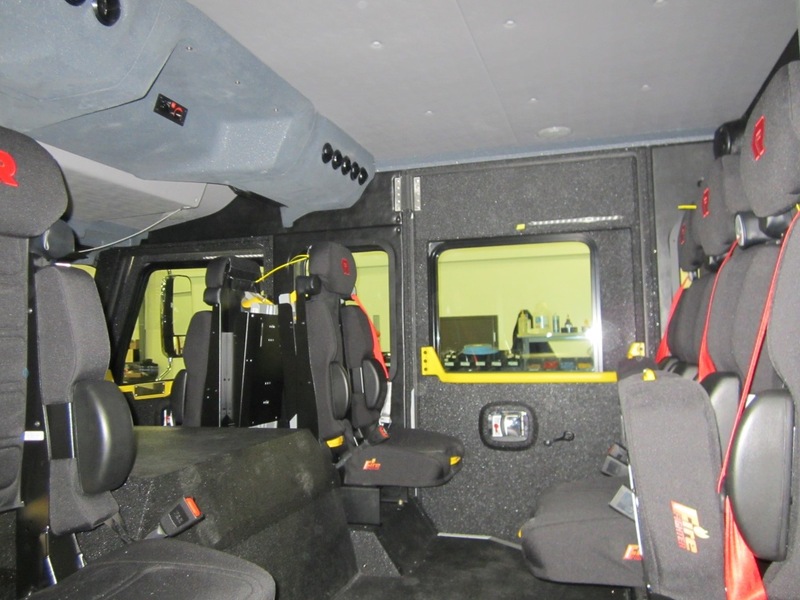 Apart from the HEROS-titan Pro, no other European helmet possesses certification in line with the NFPA standard. 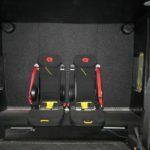 Designed as a full protection helmet, the extensions along the side of the wearer’s head provides addional protection in a critical area. 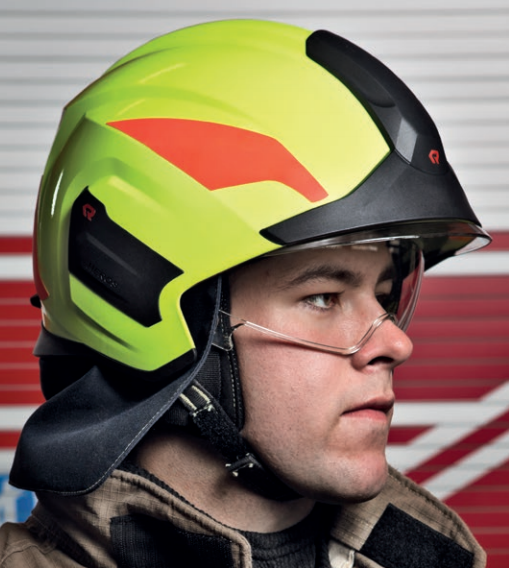 This helmet profile provides increased side impact protection and reduces chances of entanglement in confined spaces. 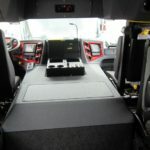 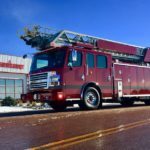 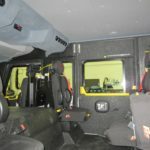 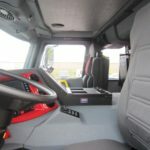 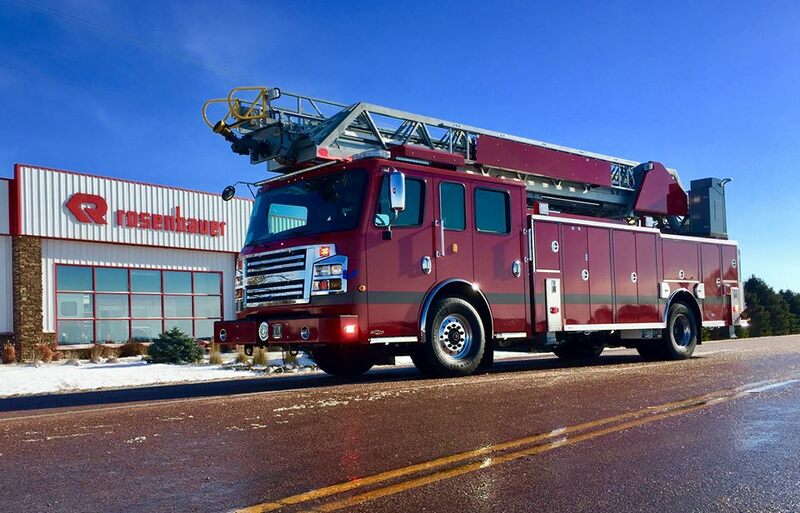 With the HEROS-titan Pro offering a far higher level of safety and comfort, Rosenbauer provides a genuine alternative to the typical US fire helmets. Come join us July 25th from 2:00 pm to 9:00 pm at the Pocono Raceway for a Rosenbauer Aerial Rodeo! 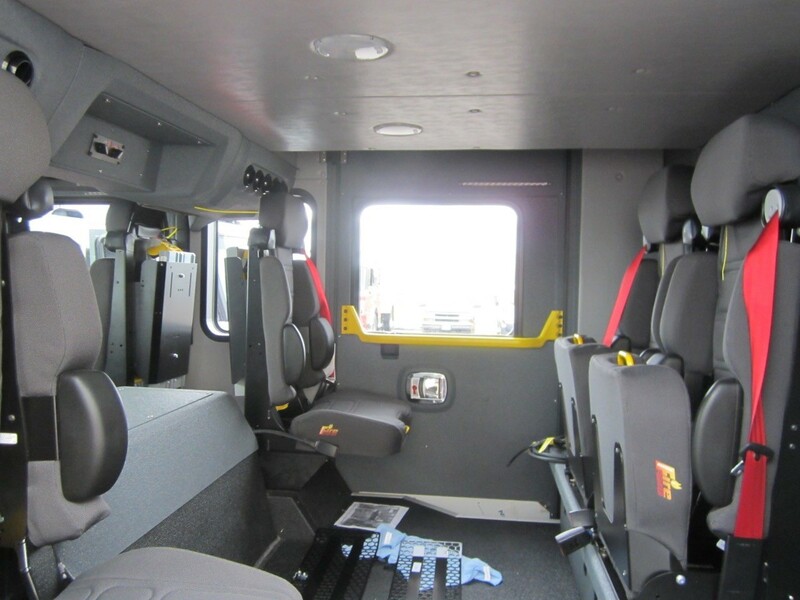 There will be multiple Aerials on display and you will be able to experience first hand the SMART Technology utilized. 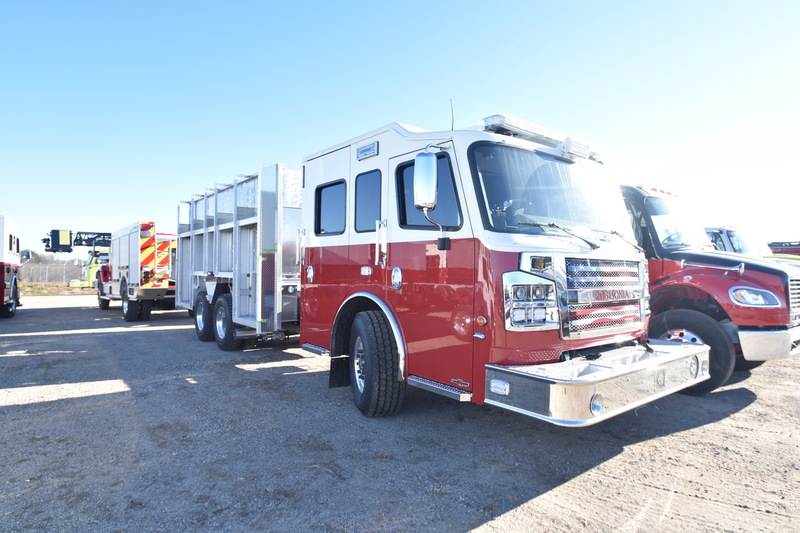 There will also be several different Rescue Engines on display, so come on out and take a look! 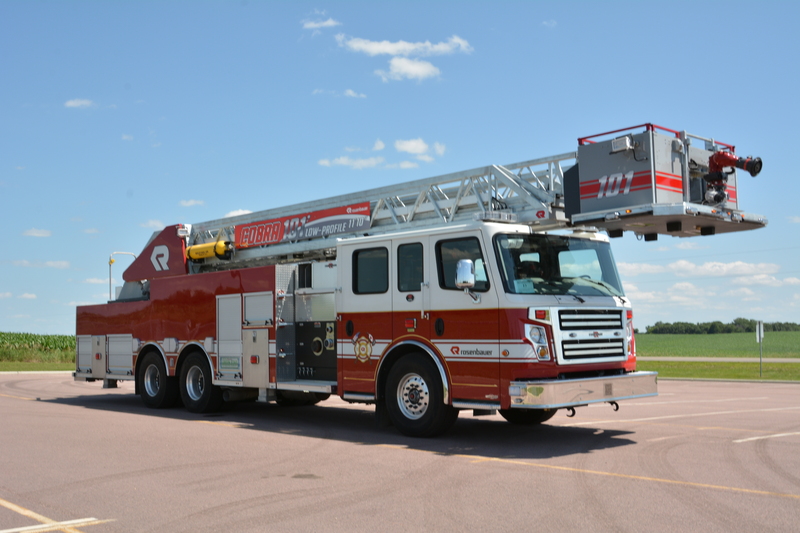 Experience Rosenbauer’s SMART Aerial Technology at Harrisburg Area Community College – July 23rd 5:00 pm – 9:00 pm. 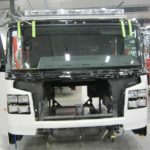 Live demonstrations and hands on experience. 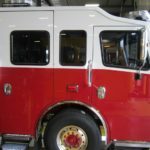 Call 888-221-3473 to register. 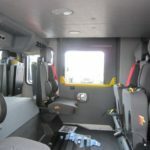 See videos of SMART Aerials on our recent facebook posts. 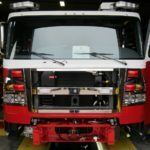 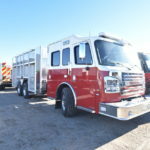 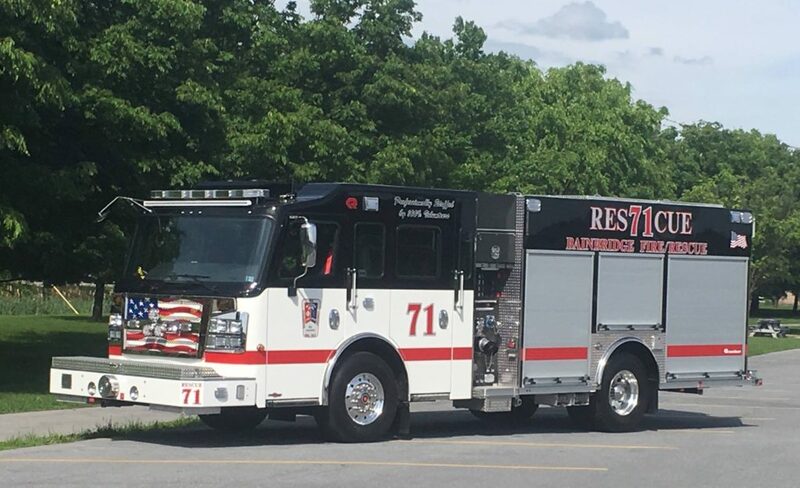 Apparatus on display will include a 78′ Demo, 101′ Demo, 109′ Demo, NE Demo Rescue Engine, as well as the recently delivered Bainbridge Fire Company MP3 Rescue Engine (see photo below). 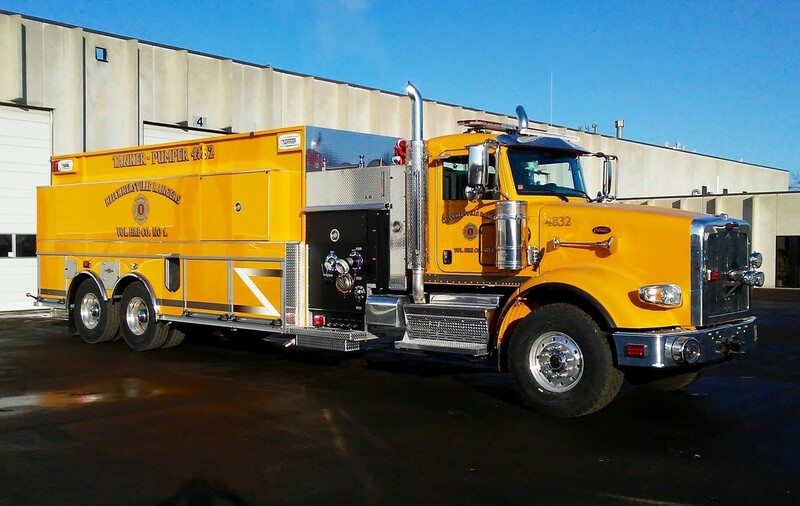 The pumper/tanker for Klecknersville Rangers Vol. 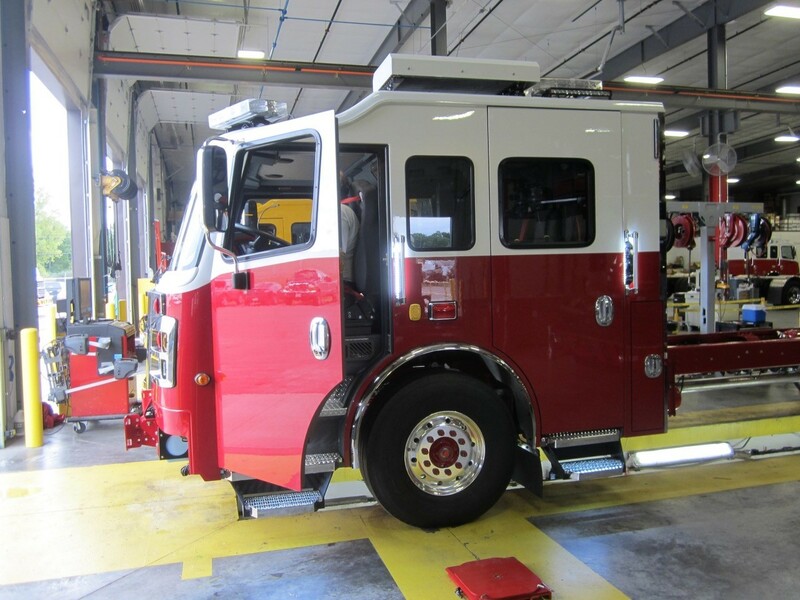 Fire Co., Northampton County is ready for final inspection! 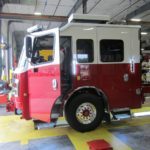 Chief John Mann and his apparatus committee will be doing final inspection next week with delivery expected early March. 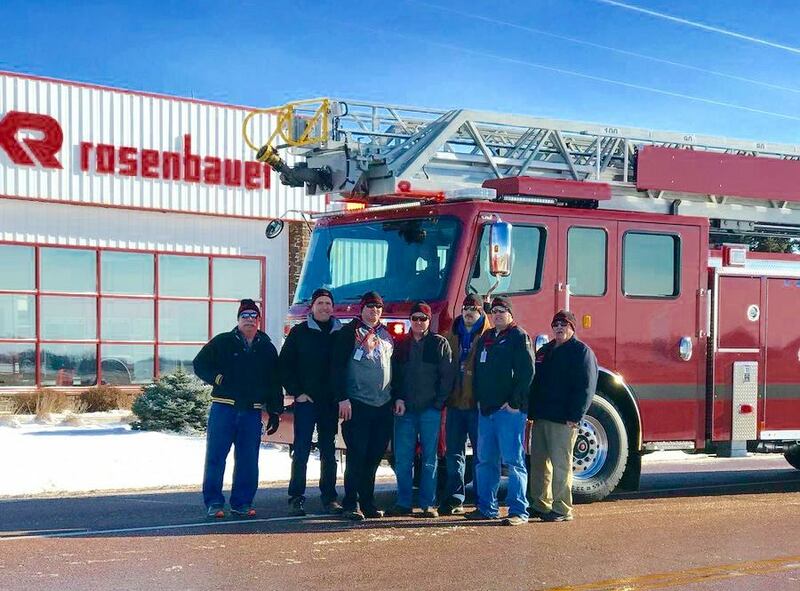 Thank you to Deputy Commissioner Bill Rigby, and all of the members of the City of Chester Fire Department for taking time out of their schedule to come and complete a final inspection at Rosenbauer America, Lyons, South Dakota. 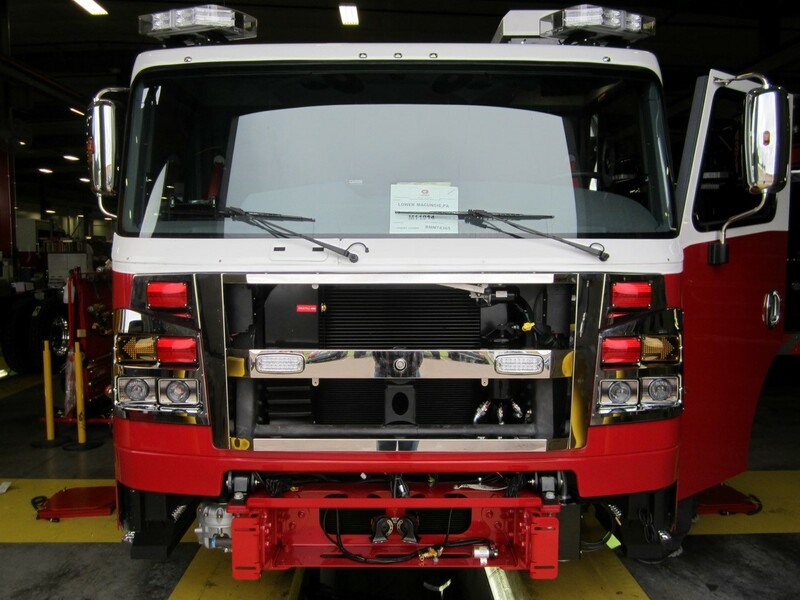 We appreciate it, and look forward to delivering your apparatus to you. 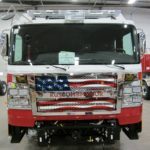 Sincerely, Brian W. Horrocks, President. 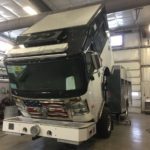 We will be posting additional photos in the future! 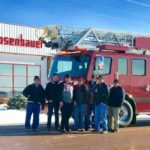 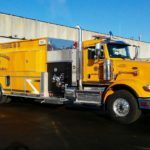 The pumper/tanker for the Pioneer Hose Company #1 of Robesonia, Berks County, PA is moving along the Rosenbauer plant in Wyoming, MN. 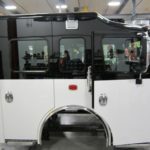 Additional photos can be found under our In Production Gallery. 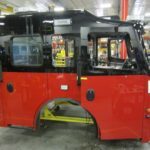 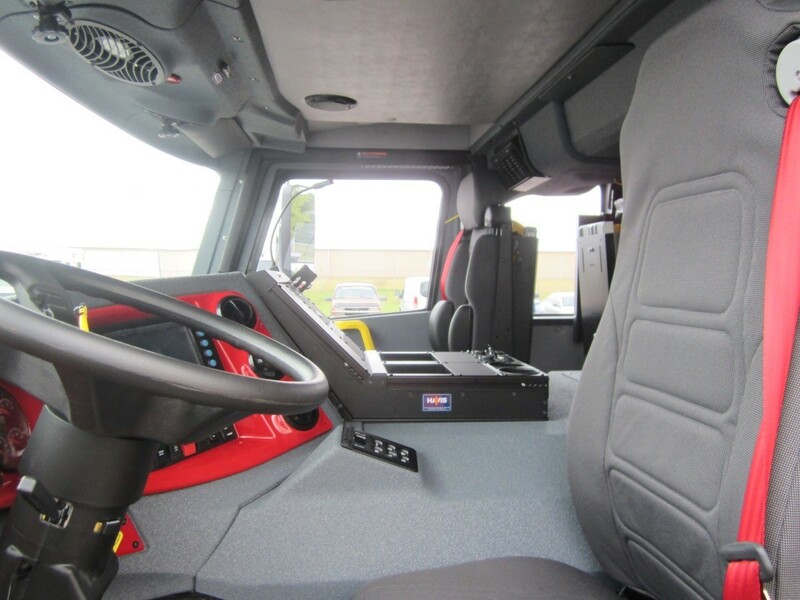 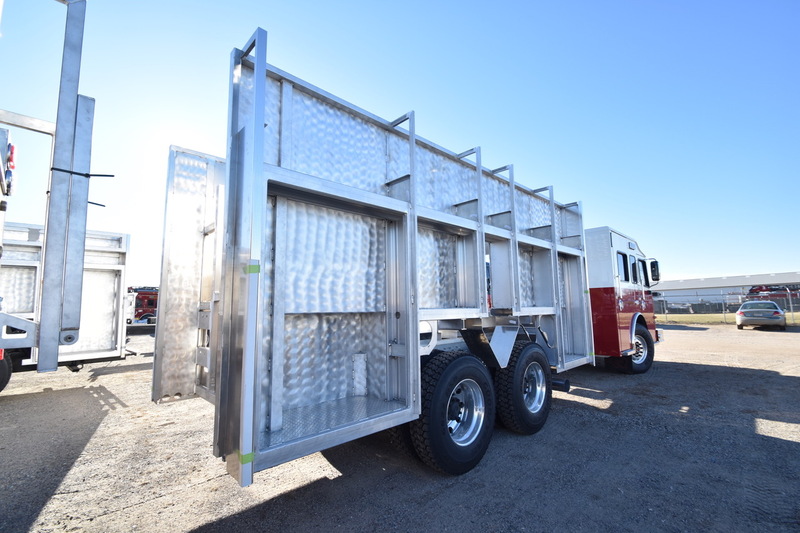 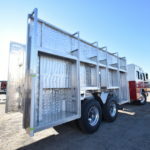 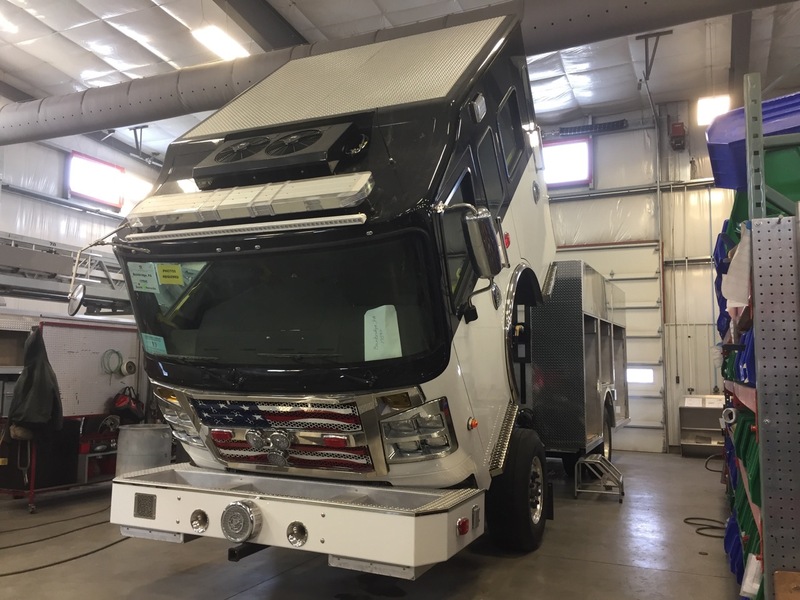 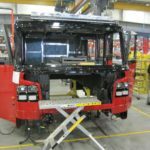 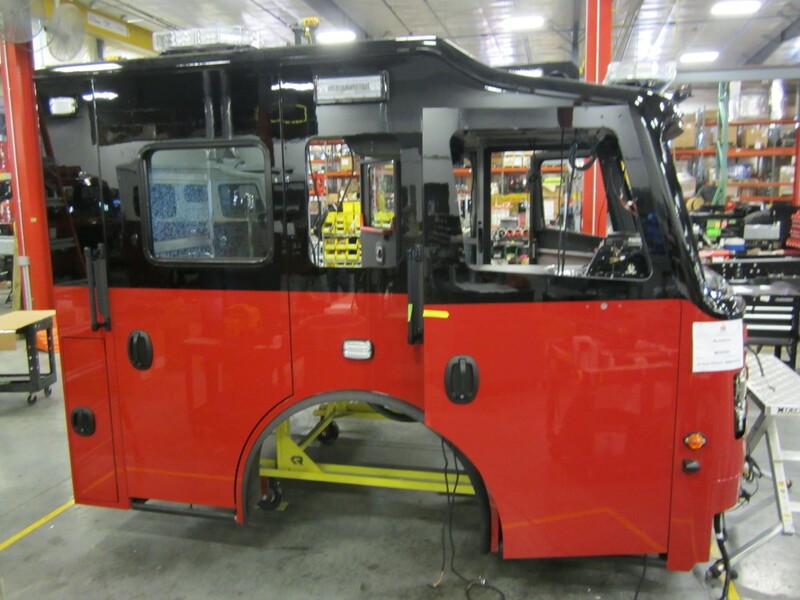 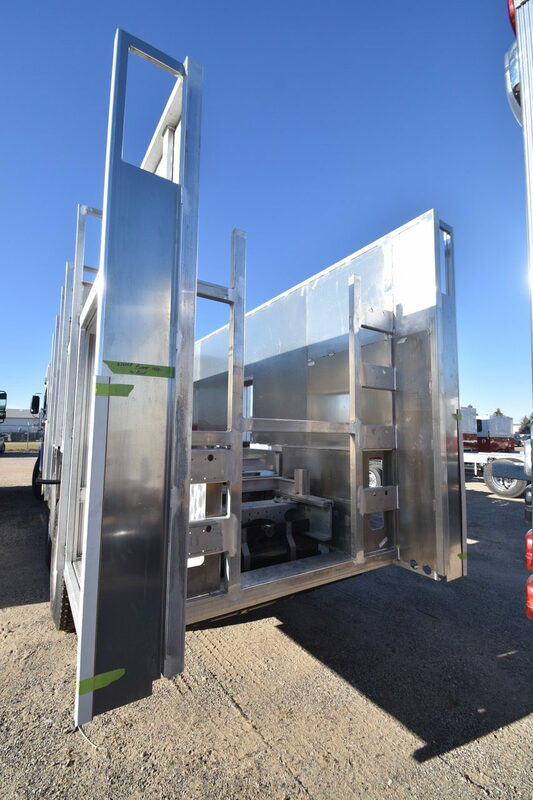 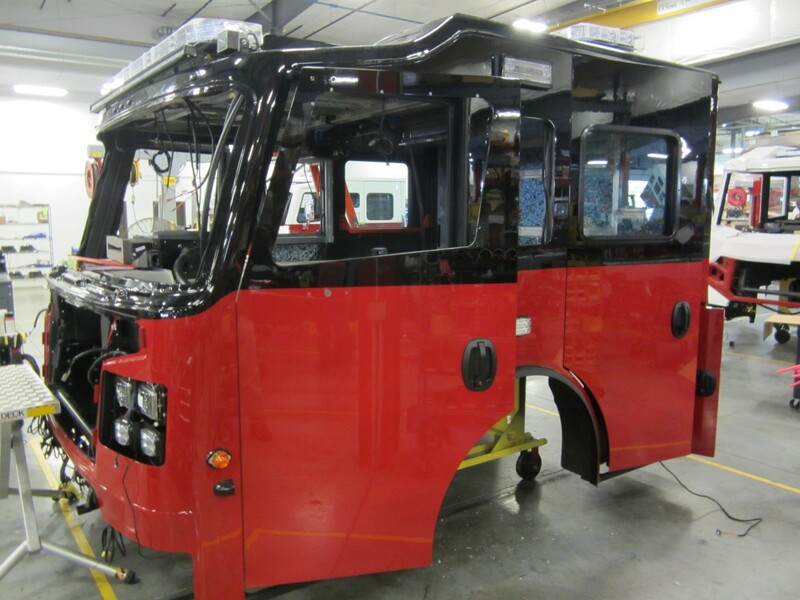 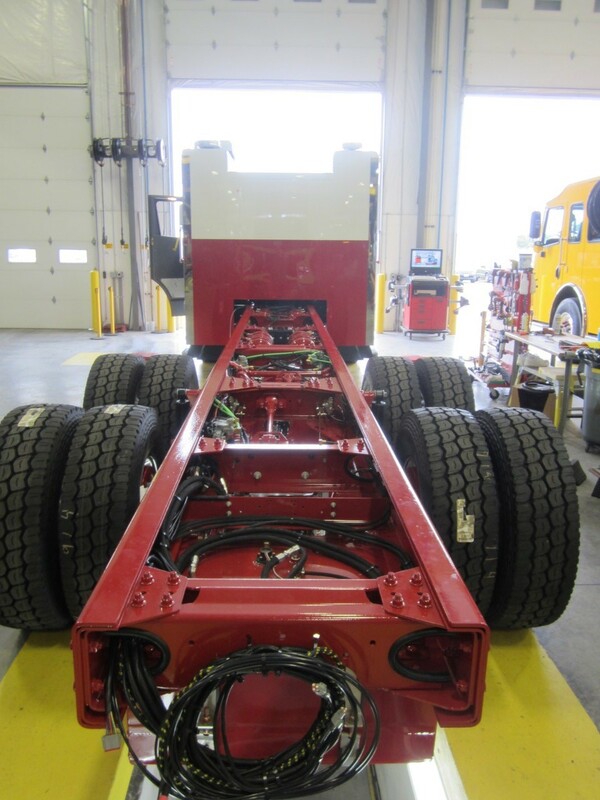 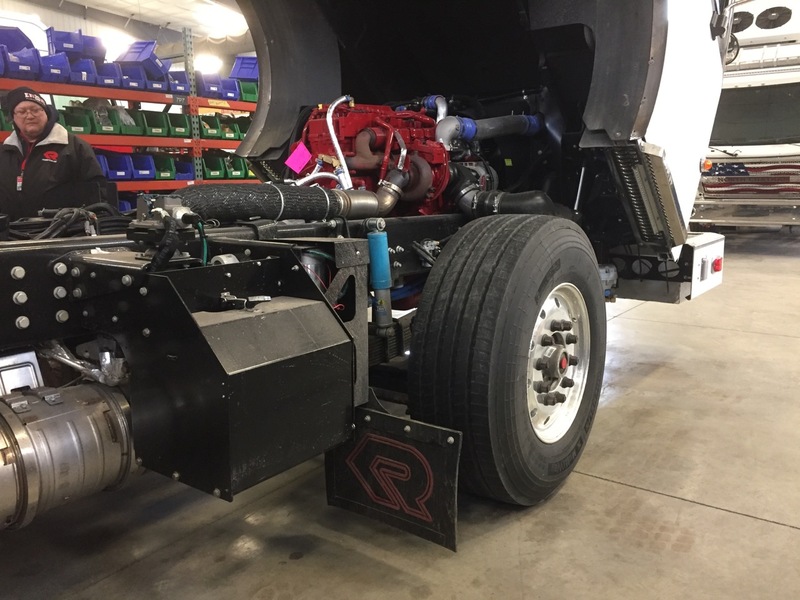 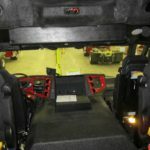 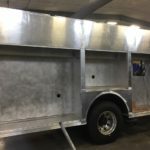 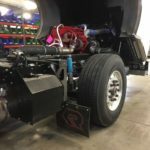 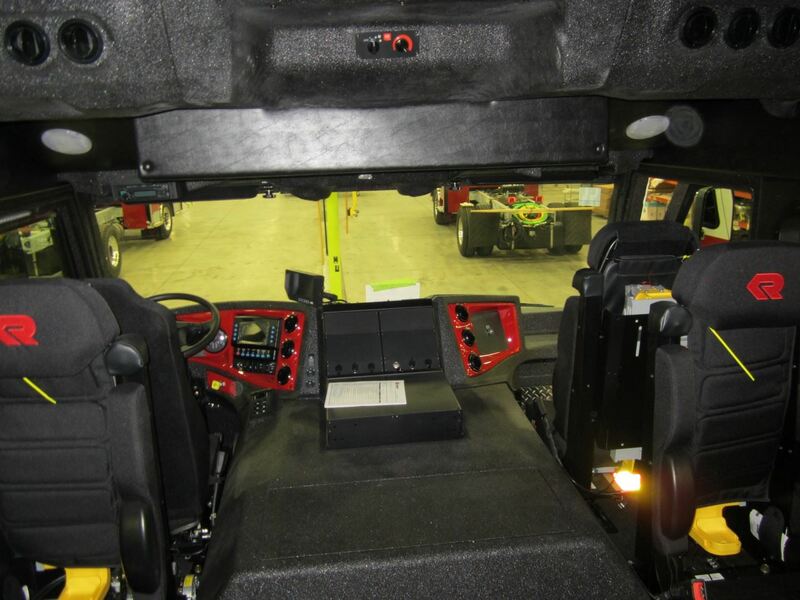 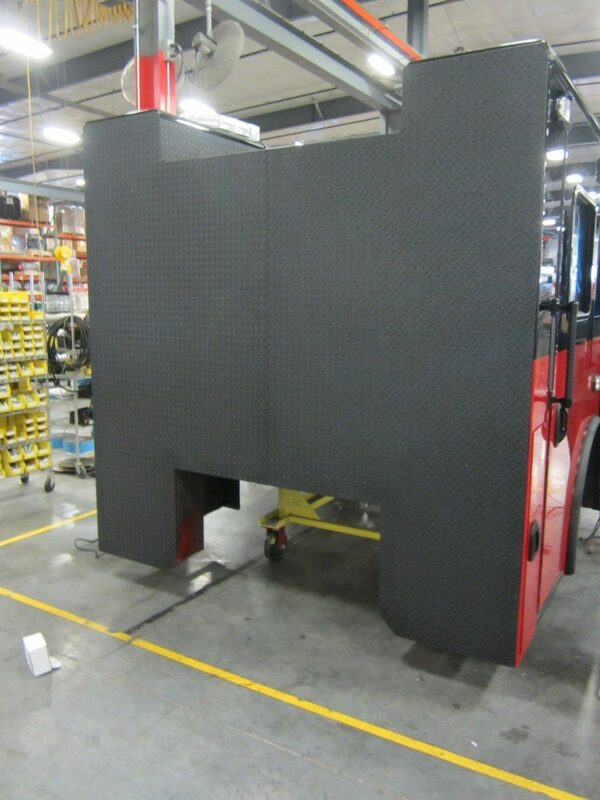 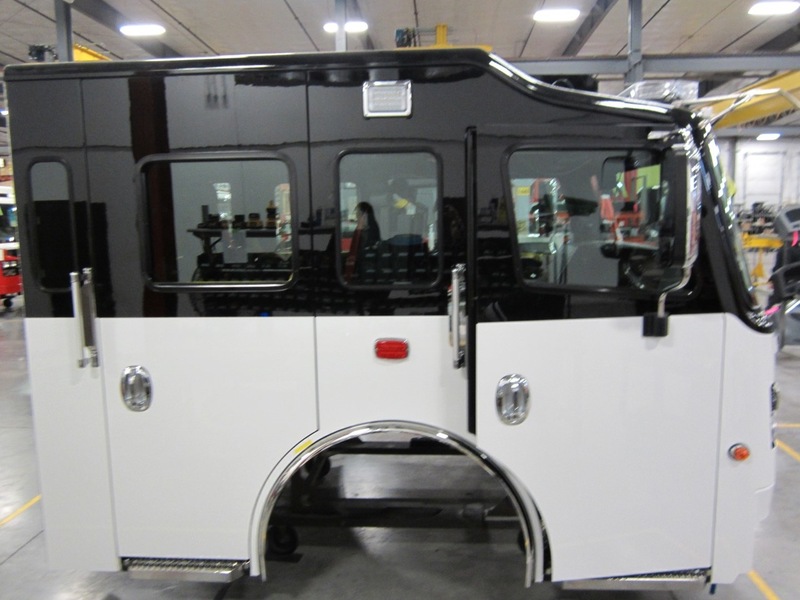 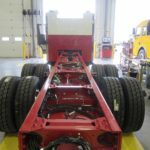 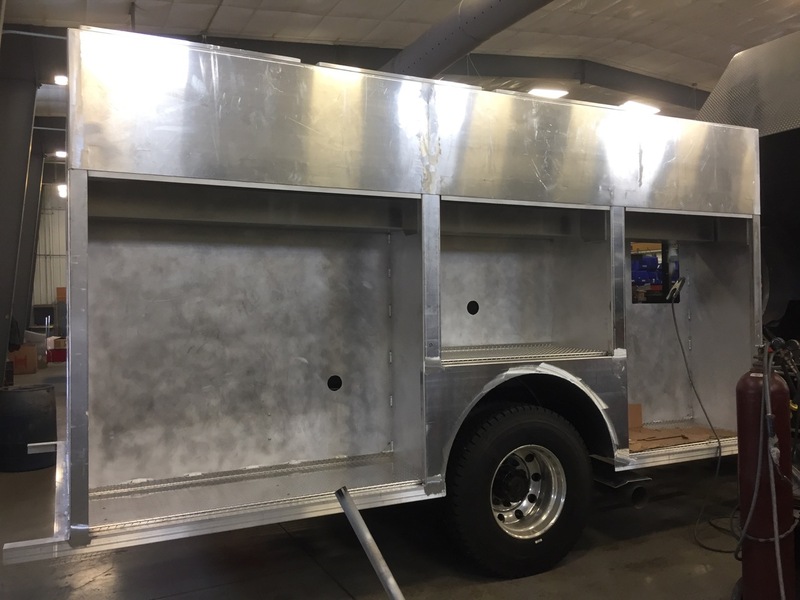 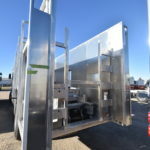 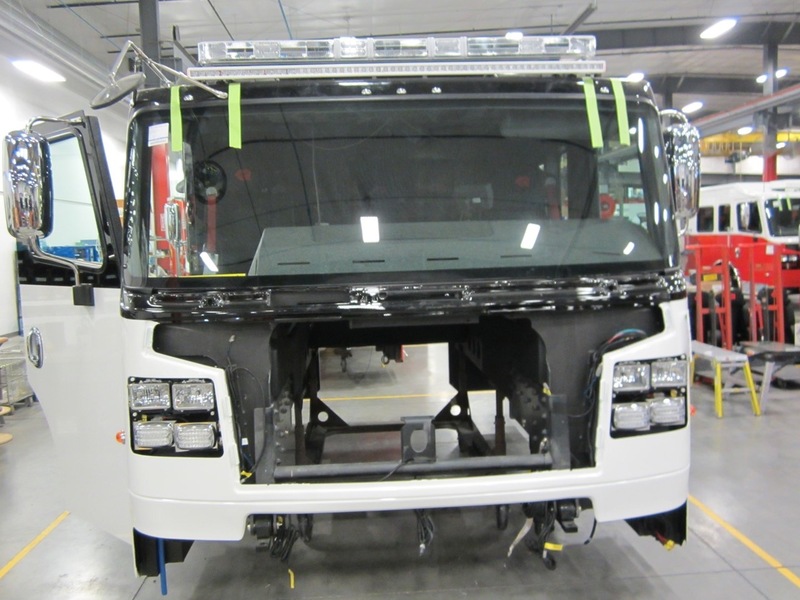 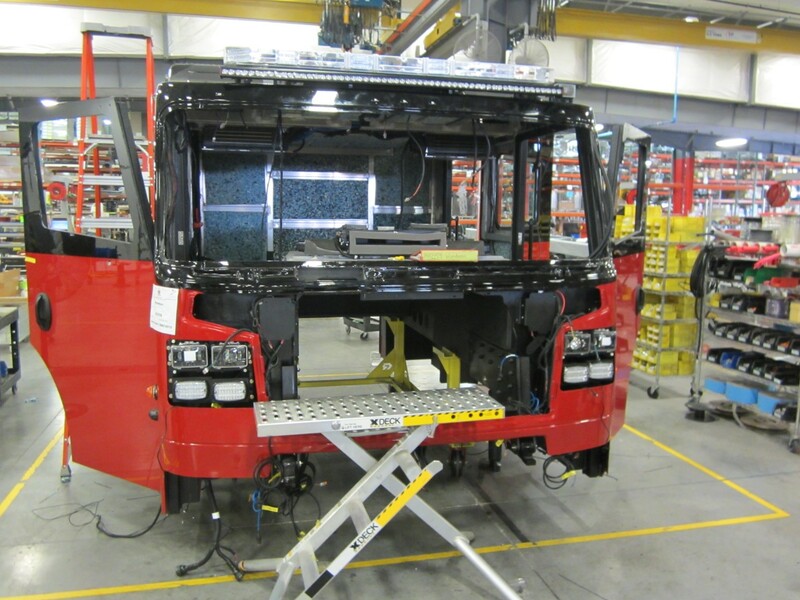 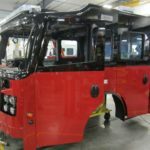 The Ruscombmanor Twp Fire Company, Commander 4 x 4 Chassis Cab, for their new Rosenbauer EXT Non-Walk In Rescue is nearing the finishing stages at the Rosenbauer Motors Plant in Wyoming, MN. 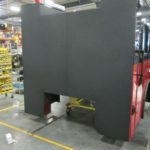 Additional photos can be found under our In Production Gallery.